While in Boise this week I took some time to visit several of our stores. Idaho has a lot of volcanic rock. 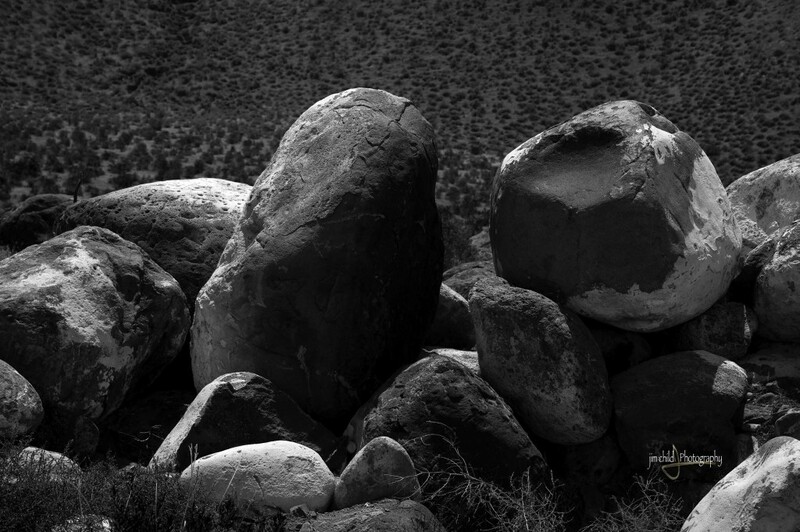 Many places have rocks that have been moved to build roads or for some kind od land development. These rock are unusual. Someone much smarter than I could explain the black to white colors on the rocks. Remember in photography and physics 101 that the black and white are colors. I could not help myself from taking a photograph and doing the “black and White” thing in post. Yellowstone River Ever Feel like a Cormorant!